Public Security Minister Erdan says haredim support the Likud, no Cabinet member wants to reconquer Gaza. Public Security Minister Gilad Erdan (Likud) on Wednesday said that his party is ready for elections and has the support of some haredim. "The Prime Minister is the Likud chairman, and he has to worry about the Likud," Erdan told Kol Hai Radio. "There are partners who need to understand that if we are heading towards elections, the Likud will be ready for elections no less than they are." "Some of the haredi community supports us and works from within the party," he added. Regarding Israeli Prime Minister Binyamin Netanyahu's goal of reaching 40 mandates, Erdan said that the additional mandates "may come from those voters who voted for [Finance Minister Moshe] Kahlon (Kulanu), Yesh Atid, and the Jewish Home." When asked about whether the current coalition will finish out its term, Erdan said, "Thanks to the Supreme Court's decision regarding the Draft Law, we'll know soon." He added that, "There's no better government for the haredim than what we have today." "Before Rosh Hashanah (the Jewish New Year - ed.) we would be wise to work together and see each other's good points instead of deficiencies," Erdan emphasized. "We will continue together until the end of our term, and afterwards, as partners." 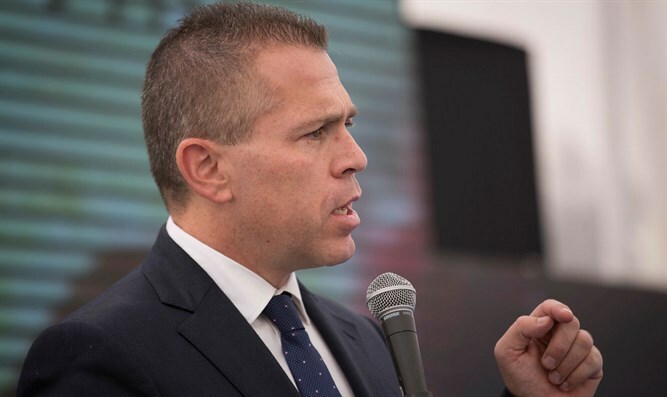 Regarding Israel's security situation, Erdan said, "I am a member of the Cabinet, and I attend all Cabinet discussions. I have not heard any Cabinet member say that he is interested in starting a war and entering Gaza. There are statements to the media and there are discussions in the Cabinet. Bringing quiet to Israel's south should preferably come at a cheaper cost. No minister called to completely reconquer Gaza. Our purpose is not to rule Gaza but that they should not shoot at the communities on the border. If we have no option, we'll enter Gaza."